Below, you will find several resources that have been helpful for other parents and caregivers. The resources we are highlighting here are aimed to support you in understanding and caring for your child – while also caring for yourself. Click below to access downloadable PDF files. 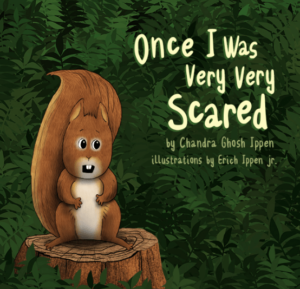 This illustrated book is a useful tool to help your child understand how trauma and stress can impact his or her emotions, thoughts, actions, and bodies, and different ways of coping. Click here to download the PDF version of this book or to order a copy. A little squirrel announces that he was once very, very, scared and finds out that he is not alone. Lots of little animals went through scary experiences, but they react in different ways. Turtle hides and gets a tummy ache, monkey clings, dog barks, and elephant doesn’t like to talk about it. They need help, and they get help from grown-ups who help them feel safe and learn ways to cope with difficult feelings. This story was written to help children and grown-ups understand how stress can affect children and ways to help them. * Treating Traumatic Stress in Children and Adolescents: How to Foster Resilience Through Attachment, Self -Regulation, and Competency, Margaret E. Blaustein & Kristine M. Kinniburgh. 2010. Copyright Guilford Press. Reprinted with permission of The Guilford Press. Click here to order the book.